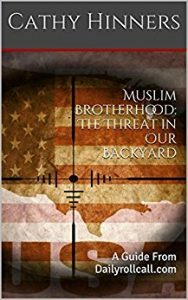 A new wave of Islamophiles has emerged in Franklin Tennessee, leaving many to wonder why city leaders are participating in an event held in the Islamic Center of Williamson County, that at one time was the place of worship for the Islamic terrorist, Muhammad Youssef Abdulazeez, the killer of 5 soldiers in Chattanooga TN. Some of those in attendance were Chief Deborah Faulkner, Franklin City Police Dept, Mayor Ken Moore and Franklin Tomorrows Mindy Tate. Also present to “learn more about Islam” were leaders of various churches, which continue to throw their own congregation under the bus by meeting with Islamists who claim all religions have the same God. It only takes reading over 109 Sura’s in the Quran, dedicated to killing those who disbelieve to understand that is not true. Unfortunately, political correctness has run amok in Williamson County, as it seems to be easier to just go with the flow rather than take a stand. The Islamic Center of Williamson County may be in a new location, but its history carries on. In July of 2015, after Mohammad Youseff Abdulazeez horrifically killed 5 U.S soldiers, it was discovered he attended the Islamic Center of Williamson County, then located in a strip mall on Carothers Blvd in Franklin TN. Imam Mohammed Fazili recalls Abdulazeez praying at the mosque stating “He was here more than three times. He did not come for morning prayers or evening prayers, but he was here more times at random. He worked near here in Franklin for two months,” Fazili said. Ironically, there is a Marine recruiting center right next door at this location. The most disturbing man in the photo though, sitting directly in front of Mr. Abudiab, is Hussam Ayloush, director of the Los Angeles chapter of CAIR,who after Donald Trump was elected posted this tweet. Finally,there are other issues with the Islamic Center, which openly professes its adherence to the life of their prophet Muhammad. “The Center will abide by the Quran and the Sunnah (ways and following of the Prophet Muhammad PBUH). Any activity contrary to or in conflict with the “Quran” and “Sunnah” shall not be permitted within, or under the auspices of this organization”. By revealing this on their website, they have openly declared they follow Islamic law (sharia), as that is the only law the prophet Muhammad adhered to and instructs all Muslims to do. ← Previous Previous post: It Isn’t Islamophobia When Muslims Kill Muslims. Next → Next post: It’s All About the Hijra. They fell into the trap of deceit and lies. didnt know we had so many idiots running our town…..falling in the hands of our enemy……Jesus help and be with us….they are handing the heads of the people to the enemy on a silver platter.. These are the dogs sent to deceive us, enslave us, steal our culture and destroy the very fabric of civilized society. It would be appropriate to walk upon these scum dogs with the souls of our feet and very soon for the clock is ticking around your very necks. Classic Trojan Horse here. Lie , deceive, than destroy and murder. Mugnoon , Y’ill an deen imeck, byyeck, siteck jideck, mugnoon ack a subs. Yeesky min teasic , Deport all goat humpin Muslims, and drop them off in the deep Sahara and let them live as the pedifile goats humpin leader once lived in squallar . No need to ask, I despise all Muslims and yes if the time comes, will more than do my part to get rid of them. This is from a former Muslim Brotherhood terrorist member. The word “jihad” has many meanings and it takes many forms. Weather it’s intended to be overt with a sword or covert with words, the ultimate goal neither changes nor deviates. Islam’s agenda is to rule over all mankind. 1.	a holy undertaking as a sacred duty by muslims. 2. Any vigorous, emotional crusade for an idea or principle. These are the “Leaders of Franklin”? Franklin needs a do over, otherwise you’re screwed!